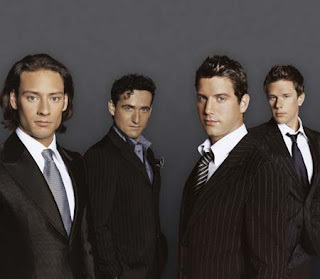 As a further mark of success to their voices & unique operatic arrangements spearheading an entire musical genre over the past 7 years, today the world’s foremost classical crossover group IL DIVO announce a massive 4th world tour for 2012, set to travel across 6 continents. The first leg of the tour to be announced, will see this phenomenal quartet- Carlos Marin, Sebastien Izambard, David Miller and Urs Buhler – perform at leading venues across Europe and the UK, closing with their first ever live shows at the Royal Albert Hall in London on April 17 & 18. Their most recent ‘An Evening With Il Divo’ tour which spanned most of 2009, saw sold out shows across 130 cities and the group receive Billboard’s Breakthrough Award for one of the biggest grossing tours of the year. “Il Divo have launched onto the world stage on a scale matched by only a couple of other new acts globally over the past few years. This is a tribute to the guys and their incredible talent but also a sign of people all over the world embracing their music and the style of show they deliver” John Giddings, Il Divo’s Agent, SOLO. With a new show designed by Creative Director Brian Burke (Artistic Director of ‘La Reve’ & Celine Dion’s 5 year run of ‘A New Day’ at Caesars Palace, both in Las Vegas), and performed with the Il Divo band and famed orchestras across each city, the 2012 tour promises to incorporate a stunning visual and musical mix of fan favourites as well as premiering songs from their eagerly anticipated new album ‘Wicked Game’. In the UK & Europe, November 28, will see Il Divo return with their 5th studio album ‘Wicked Game’ including a dramatic reworking of the Chris Isaak classic ‘Wicked Game’, an emotionally beautiful rendering of Roy Orbison’s ‘Crying’ and a heavenly song inspired by Samuel Barber’s ‘Adagio for Strings’ called ‘Dove L’Amore’. Recently named Artist of the Decade at the Classic BRITS. Il Divo are the most successful international musical break-out story of this millennium, selling more than 25 million albums and singlehandedly inventing the classical crossover genre. Their ground-breaking success has brought and pioneered an entirely new sound to vocal music and the group have over 150 gold and platinum awards in 33 countries. Their first four albums, ‘Il Divo’, ‘Ancora’, ‘Siempre’ and ‘The Promise’ – all on Syco - have achieved 50 #1 album chart positions internationally. Il Divo could rest on their laurels. But that has never been their style. Their story continues to evolve and ‘Wicked Game’ is a very exciting new chapter they look forward to doing what they love best, by taking it on the road to the world. SJM Concerts by arrangement with Octagon Music, Syco Music & Solo. WICKED GAME will be released November 28 (UK/Europe) and is available to pre-order from Amazon globally.